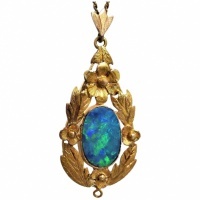 A beautiful vintage brooch dating back to Art Deco period, circa 1920! 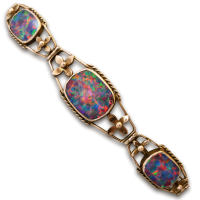 Boasting a tantalizing opal doublet of many colours including blue, green, red, purple and orange - and displayed in a shimmering pinfire pattern - dancing colours in every movement! 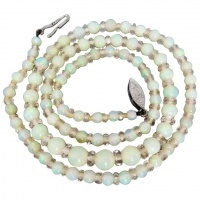 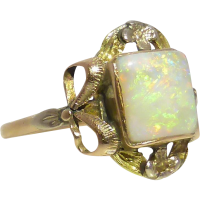 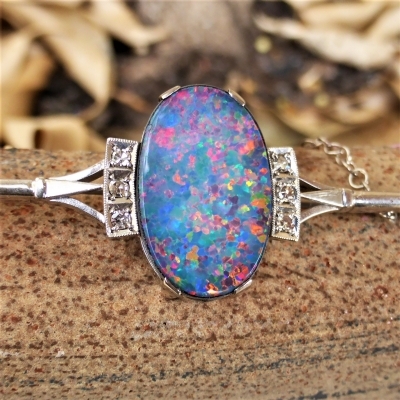 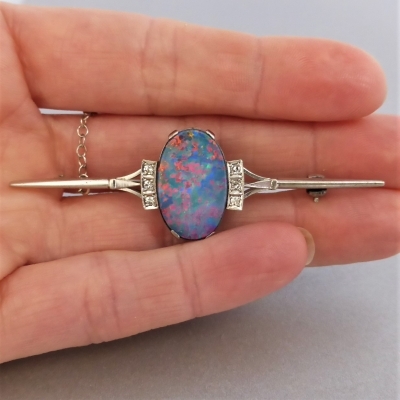 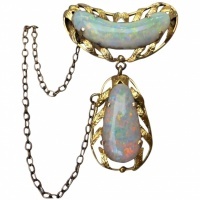 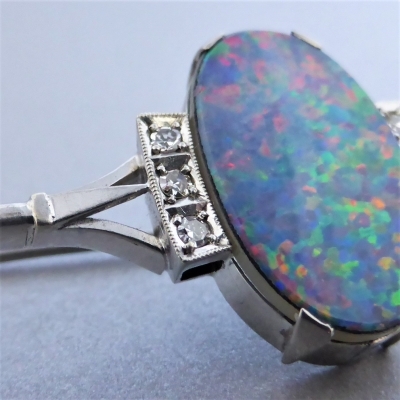 The opal doublet is likely to have originated from Australia, Coober Pedy - a South Australian town renowned for opal mining. 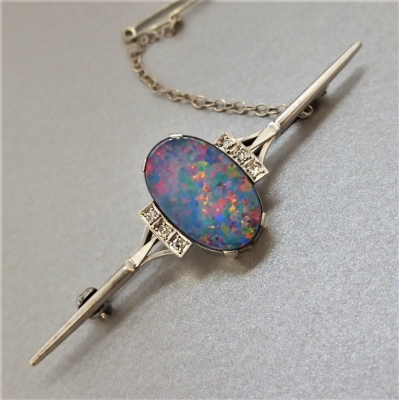 The sleek bar design features three swiss-cut diamonds either side of opal, the bright, clean clarity diamonds measure 1.70mm each, totaling approximately 0.12 carats. 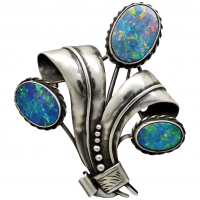 Adding extra style to brooch is the milgrain detail as well as the upswept and split shoulders. 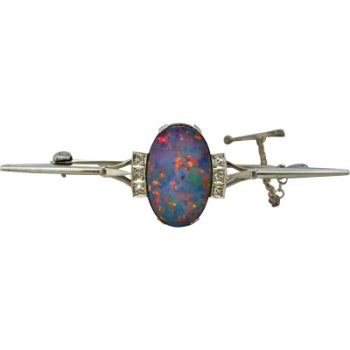 Pin and early revolver-style clasp attach to back. 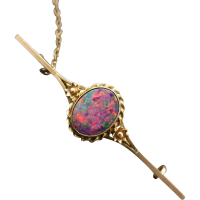 A safety chain and pin is connected for extra security. 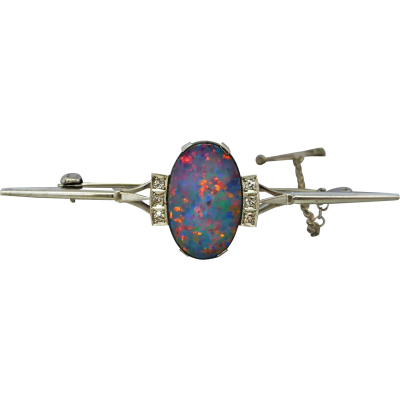 No stamps are evident to brooch, a XRF test indicates 9ct white gold. 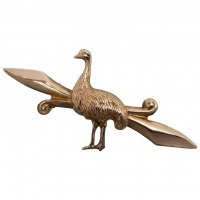 A stunning Art Deco brooch which would dazzle any collar or outfit!